The Alan Diaz Journalism Fund benefits Miami Dade College student journalists at The Reporter, the school’s newspaper. It also provides funding to MDC Summer High School Journalism Institute. Alan Diaz, a longtime Miami-Dade resident, was the recipient of the 2001 Pulitzer Prize in Breaking News Photography for his image of armed U.S. agents seizing Elian Gonzalez, a Cuban boy, from his relatives’ Miami home. Diaz covered the Florida 2000 election recount, the 9/11 terrorist attack in New York, countless hurricanes, professional sporting events and breaking news. 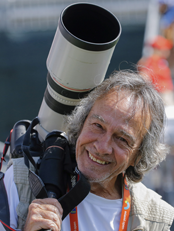 Diaz worked for the Associated Press as a staff photographer in Miami for 17 years.